So, you’ve had a fancy new website made for your plumbing and heating business. But what’s the use if nobody can find it? If your site doesn’t appear on the first page of Google search results, then chances of potential customers clicking on it are slim. Don’t worry though, as there are loads of ways to increase traffic to your website, and you don’t need a computing degree to understand them – Baxi offers top five tips for installers to drive traffic to their website. According to the Office for National Statistics, 90% of households in Great Britain had internet access with 77% using it to order goods or services online. This means it is crucial for businesses to have a website that can easily be found via search engines if they want to capitalise on this growing online audience. Techniques such as Search Engine Optimisation (SEO), which is all about improving your organic (unpaid) search engine ranking; and pay-per-click (PPC), which is a form of online advertising, are common methods companies use to boost their online profile. They’re so important that most major companies now employ dedicated specialists whose sole job is to make sure they are top of the search rankings. However, for a small heating business, this is neither realistic nor necessary. Instead, you can get results without it costing the earth by making simple changes to your website’s structure, updating regularly, and using the right keywords. It’s important to include words and phrases that accurately describe the goods and services you offer in your website text, as these are what the search engine will ‘read’ when deciding which websites to display. Google’s Search Console is a useful tool which will tell you the keywords people are currently using to find your website. Another way to get noticed is to bid on key words or phrases using Google Adwords, which is a PPC advertising platform. Companies compete for their banner advert to appear as the top result for that keyword, which can cost big bucks. If you’re a small heating business, you don’t want to try to rank nationally for the “gas engineer” search term, as it will be too expensive and won’t necessarily translate into new customers. Instead, focus on keywords and phrases with less competition. These are usually longer and more specific phrases such as “boiler repair service Bristol”. Focus on getting basic page elements right, as this is what search engines look at first to gain an understanding of what your site is about. Firstly, make sure that the title of a web page accurately describes what it is, as this is what users will see in the search results. Secondly, keep the URL short and sweet. And finally, try to include keywords related to your business in the first 100 words. Another effective way to boost your SEO is to get links from other, reputable websites. Each time this happens, your website will gain kudos in the eyes of the search engine’s robots. The crucial part here is that links must be relevant and form part of good quality content. Guest blogging for industry news pages, such as Installer, and asking for a link back is an effective way to achieve this. Don’t forget to also link out to appropriate websites, such as www.baxi.co.uk, from your own page as this will also boost your score. 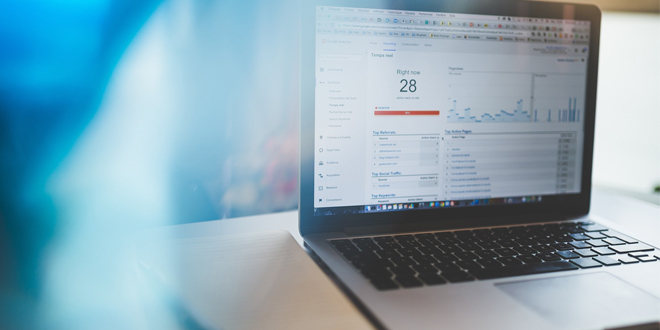 Check whether your efforts are paying off by regularly reviewing incoming traffic using tools such as Google Analytics, which will give you useful insights into how people are finding and using your website. We all need a little help sometimes. Thankfully, organisations such as Expert Trades offer digital marketing services specifically for tradespeople. They’ll help you get organised, get online, get found and get more work. What’s more, they also have a variety of packages to suit all needs and budgets.